More records are coming to light that show the EPA ended its investigation last year into the impact on fracking on Dimock water wells in the face of political pressure. After finding arsenic, barium, manganese, chromium, and methane in wells at levels “that could propose a health concern” the agency declared no follow up was required because residents of affected homes had been notified and polluted wells were taken off line or equipped with filters. The contamination -- in roughly 8 percent of 61 wells tested -- was from naturally occurring compounds that are also used in or associated with drilling operations, which can exacerbate existing problems or introduce new ones. The issue – one of national policy (or not) -- is recently getting the attention it deserves. 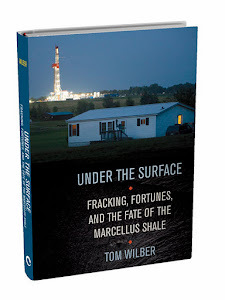 Last month Neela Barnerjee of the LA Times reported that an internal EPA power point presentation showed that agency staff warned that methane pollution in Dimock was a likely result of shale gas operations that can cause long-term damage to aquifers. 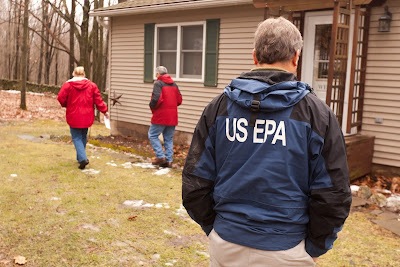 On this blog, I have reported that the EPA quietly turned the results of its investigation over to a sister agency called the Agency for Toxic Substances and Disease Registry, where the outcome faces an uncertain fate. The ATSDR lacks the enforcement muscle of the EPA, has a relatively small budget and staff, and is notoriously slow. But there’s more to it, and much of the back-story can be found in a series of internal correspondence and documentation uncovered through a freedom of information request by Laura Legere, of the Scranton Times Union. These memos and others now available on line show EPA officials were urgently concerned about pollution documented in Cabot’s own testing of the water, as well as files kept by Pennsylvania Department of Environmental Protection. This was the starting point of the EPA investigation, which intended to “characterize” conditions that were causing disconcerting test results. A memo dated Dec. 7. 2011 (date corrected from original post) from Jon Capacasa, director of the EPA’s Water Protection Division, captures the urgency of the EPA’s request to the ATSDR to evaluate the health risk of chemicals already documented by Cabot and the DEP. We believe that the private wells in and around the Dimock area have been negatively impacted by the Cabot natural gas drilling process as evidenced by the presence of methane, butane, propane, ethane, ethene, etc., related gas compounds and also the presence of high concentrations of secondary contaminants like aluminum, iron, manganese, etc. This is an urgent matter to the Agency so completion of your review within the next two months is requested. While EPA staff found the matter urgent, they also noted that test results were not produced by the agency itself. To get their own data, staffers were mindful about overstepping the agency’s jurisdictional boundaries, which are limited due to fracking industry’s exemptions from the Safe Drinking Water Act and the Resource Conservation and Recovery Act. In justifying the Dimock investigation, the EPA recognized the issue to be “nationally significant and precedent setting” under the federal Superfund law, as detailed in this Jan. 19, 2012 scoping memo from site coordinater Richard Fetzer. Because the action appears to be nationally significant and/or precedent-setting, the Region will continue to coordinate closely with Headquarters. EPA also will maintain coordination and communications with the PADEP. In taking this action, EPA is aware of and has considered the potential applicability of the natural gas exclusion under CERCLA, the Bensten Amendment under the Resource Conservation and Recovery Act (RCRA) and the exclusion to the definition of the “underground injection” under the Safe Drinking Water Act (SDWA). EPA has concluded that this action is appropriate under CERCLA at this time. The original scope of work, which was later dropped, included determining the source of pollution. In a letter dated Jan. 6, 2012 notifying Cabot attorney Kevin Cunningham of the investigation and a request for records, EPA’s hazardous cleanup director Ronald Borsellino stated the agency was “investigating the source, extent and nature of a release or threatened release of hazardous substances” related to the company’s operations. What is clear is that this data strongly suggests that hazardous substances have been released and are present in some home well at levels that may present a public health concern. Current data does show arsenic and manganese at higher levels than may be typically found in post drilling samples. Since arsenic and manganese are naturally occurring substances, EPA’s assessment will include comparison of background concentrations present. All this qualification, of course, was partly the product of due diligence by the EPA to make its investigation withstand the expected pushback from the state and the industry and to make a case for involvement under Superfund. States generally are protective of their jurisdiction over shale gas, and this is a critical piece of context. The EPA was conducting a similar investigation in Pavillion, Wyoming, where it found evidence that shale gas development polluted water wells of homes on the Wind River Reservation. Predictably, the agency faced a hostile reception by Wyoming Gov. Matt Mead, a shale gas proponent who characterized the federal action as an example of regulatory overreach. (The EPA recently aborted its plans for a peer reviewed study of its work in Pavillion and turned the investigation over to the state.) The EPA faced a similar reaction from Pennsylvania state officials. the technical, scientific and cooperation shortcomings of EPA’s activities with respect to that state regarding Pavilion and there is no need here to catalogue those in his [Mead's] letter. Suffice it to say that we hope the EPA’s efforts here not be marked by the same rush to conclusions and other deficiencies here as it was and continues to be in respect to the Pavilion matter. . I ask that your efforts be guided by sound science and law rather than emotion and publicity. Krancer copied a group of Pennsylvania legislators on his letter. EPA’s actions in Dimock appear to undercut the president’s stated commitment to this important resource,” Chief Executive Officer Dan Dinges wrote today in a letter to EPA Administrator Lisa Jackson. “EPA’s approach has caused confusion that undermines important policy goals of the United States to ensure safe, reliable, secure and clean energy sources from domestic natural gas. The EPA said Jan. 19 that it would deliver water to four families in Dimock, where residents say their water has been contaminated during hydraulic fracturing by Cabot. 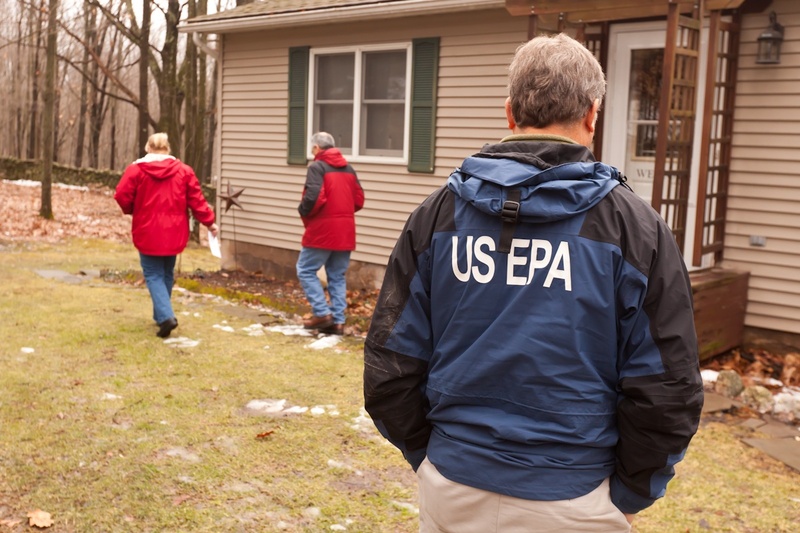 The EPA will also test water at 60 homes to assess whether any residents are being exposed to hazardous substances, the agency said. Dinges, who also is Cabot’s chairman, said today that the company provided more than 10,000 pages of data to the EPA and there is “no credible evidence” that the water needs further analysis by the federal agency. “It appears as though the EPA’s decision is politically motivated and not based on a legitimate desire to address environmental concerns,” the company said in a statement issued with Dinges’s letter. Dinges was clearly hitting effective buttons. In the world we live in, politics in addition to science is an element of policy making. And here is an example where the direction of science was driven by political forces and interpretations. Very interesting stuff. The memo you linked is dated Dec. 7, 2011. Here's the paragraph from your post above. "A memo dated Dec. 7. 2012 from Jon Capacasa, director of the EPA’s Water Protection Division, captures the urgency of the EPA’s request to the ATSDR to evaluate the health risk of chemicals already documented by Cabot and the DEP." Michael, Thanks for your usual careful read. Have corrected date. The timing is important because this was part of the record the EPA needed to justify its investigation that began in 2012. First Liberty Energy is doing great job with oil and gas drilling.